In August 2018, and for the 18th consecutive year, the Carroll Insurance Group LLC and its subsidiaries, Insuring Lawyer and The Best Restaurant Owners Insurance were selected as a Best Practices Agency. This insurance company qualified for this status by ranking among the top performers in the annual Best Practices Study conducted by the Independent Insurance Agents & Brokers of America (IIABA) and Reagan Consulting. They were awarded Best Practices top 195 out of 37,500 independent agencies nationally. 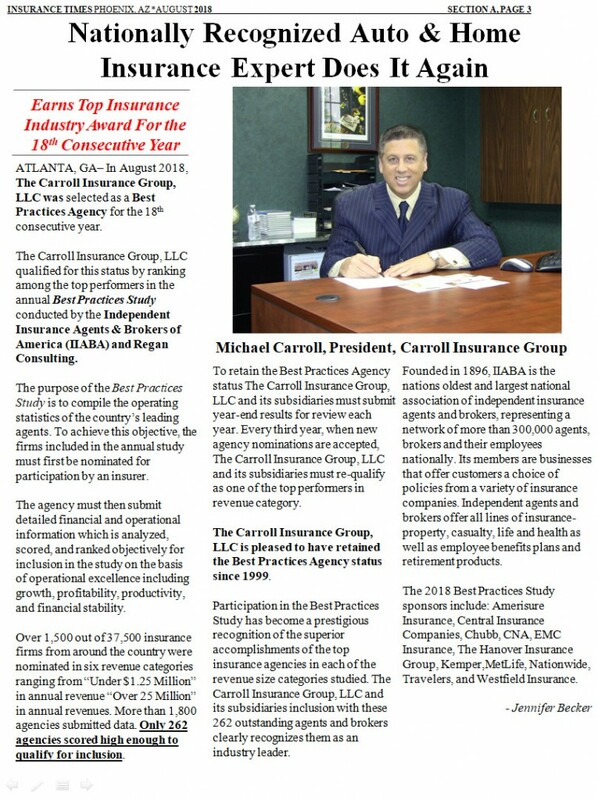 In September, 2014, and for the fourteenth consecutive year, the Carroll Insurance Group LLC and its subsidiaries, Insuring Lawyer, Insuring Pizzeria, and The Best Restaurant Owners Insurance were selected as a Best Practices Agency.